“Shift Your Classroom: Small Strategic Steps” by Shelley Wright first appeared at the group blog Voices from the Learning Revolution, supported by Powerful Learning Practice LLC. I’ve come to describe my shifted classroom as an inquiry-driven, project-based, tech-embedded environment. But that’s not where I started. For most of my teaching career, I’ve been a pretty traditional teacher (even now I slip back into that mode sometimes). However, as I went through the motions of trying to “teach” my students, something didn’t feel right. My students seemed to learn things only for the exam, were focused on the mark, not the learning that was supposed to be taking place. When the unit or semester was over, they dumped all their notes and assignments. Frustrating. My shift to a student-centred classroom has been a roller coaster ride, but well worth the work and effort (you can read about some of it here). For the most part, my students are engaged and have started to take responsibility for their education. We view knowledge as a process, not a product. I think the most valuable skill my students have acquired is the ability to learn, unlearn, and re-learn. Given today’s constantly changing world, this is one of the most important things they’ll take with them when they graduate. Teachers who are interested in shifting their classrooms often don’t know where to start. It can be overwhelming, frightening, and even discouraging, especially when no one else around you seems to think the system is broken. The question I’ve been asked often throughout the past year is “Where should a teacher begin?” I’ve reflected on this a fair amount, and I think small strategic steps are the key. (1) Start with creating one inquiry unit in one subject. You can jump in and change everything at once like I did, but that’s slightly crazy. Instead, if you design one unit in one subject, at the end of each day, or week, you can analyze what worked and what didn’t. While teaching doesn’t always leave a lot of time for luxuries like reflection, it really is the key to figuring out inquiry learning, and as the teacher, it’s one of your most important roles. Two of the best resources I’ve found for creating an inquiry classroom are Carol Kuhlthau’swork and Alberta Learning’s Guide to Inquiry Learning. (2) Talk to your students about their learning — a lot. Especially in the beginning, I talk to my students about why my classroom is structured differently than every other class in our school. I show them Ken Robinson’s talk about how the 20th century school system doesn’t really prepare students anymore. I also show them Chris Lehmann’s TED-X talk emphasizing how education is broken and Karl Fisch’s Did You Know?. But I also talk to my student’s about stuff like how their brain works, and how neural connections need to be made. That often, in order for students to learn something new, it needs to be attached to things they already know. Just before the recent break, during the last week of school, we talked about cognitive dissonance and Vygotsky’s zone of proximal development. They like to know there’s a reason for the way they feel when they don’t “get it.” And they like to know that everyone’s zone of development is different. In fact, they were amazed to find out everyone’s brain is different. (3) Embed technology in ways that are authentic to the learning process. The first tools that I teach my students are Google Docs, Diigo or delicious to bookmark their research, and Symbaloo to house their tools. (4) Remember that inquiry learning is an emotional process. Each stage of learning has specific emotions attached to it, and at some point, you and your students will likely hit the wall. That’s normal. Shelley Wright is a teacher/education blogger living in Moose Jaw, Saskatchewan in Canada. She teaches high school English, science and technology. Her passion in education is social justice, global education and helping her students make the world a better place. She blogs at Wright’s Room. Follow her on Twitter at @wrightsroom.Meet the rest of our Voices. How does one become a guest blogger on this site? I am a relatively new Social Studies teacher who does a lot of hands-on activities with my 5th and 6th graders. I really enjoyed your video. My question is just how much time is dedicated to PBL in your classroom? Is it realistic to do it every day? Or is it good enough to do everything in moderation? I find that in PBL my students sometimes *don’t* absorb as much as they do with traditional discussion and lecture-based learning. They will often get caught up in the activity, which I know is a good thing on one hand, but I still feel they need to come away with more solid historical knowledge. Thanks for reading. I think inquiry & PBL have to look different depending on the grade level. My students likely need less scaffolding & support, but often we will have whole group discussions to help students make connections. Do you blog with your students? or have them create reflection journals? Sometimes our students are making connections that we’re not aware of, or helping them to reflect can foster connections too. I teach science and English & I find that inquiry and PBL look quite different in these classes. This is a post I wrote that looks at my English classroom: http://shelleywright.wordpress.com/2011/12/13/life-in-an-inquiry-driven-technology-embedded-connected-classroom-english/ and this one discusses my science classroom: http://shelleywright.wordpress.com/2011/11/19/life-in-a-technology-embedded-classroom-science-2/ These might give you a better idea of what I do. Sometimes I do need to make sure my students learn specific content. I try to do that as interactively as possible by Google Jockeying. I find that the more engaged my students are in the process of learning, the more they learn. For me, it’s not about them absorbing content — that’s a secondary goal. Instead, we focus on developing skills like critical thinking, problem-solving, collaboration, etc. We use the content for the purpose of developing these skills. Hope this helps! If you have anymore questions, please let me know! Tools like ProjectFoundry.org to be very useful in developing, assessing and tracking project-based learning. Joanna – I have been trying to integrate more PBL into my 4th grade classroom as well, and completely understand your question! For me, since I am in a new grade level, and am developing these units myself, I try to do one PBL unit each term. The project might be in a different subject area each term (Science, Social Studies, etc.) They take anywhere from 3-6 weeks, generally. I have not had the same experience with learning though. Generally, my students retain MORE through being engaged in a project, and are able to tell me much more than they would have retained from traditional lecture. In addition, they are able to relate the knowledge to “real life” and other areas of study. Throughout the project I do still have “mini-lessons” for content that I need to teach as opposed to what they can learn through the activities – It’s a blend that works well for me. I think just the effort to provide these hands-on activities and student-driven learning is commendable! I am nowhere near Shelley’s level of expertise, but have learned a great deal from following her. Thanks for all your responses! I think one of my biggest problems (and why my PBL does not seem to be transferring as much core historical knowledge as I would hope) is that I am working without a 1:1 tech setup or an available computer lab. My heart wants to be fully digital but in practicality, I can’t. Without the ability to do research and create digital projects, I am feeling down on my efforts at PBL. Obviously I know that projects were occurring long before the computer, but everything feels so hindered by the clunky old-fashioned process, and I know the kids feel it, too. 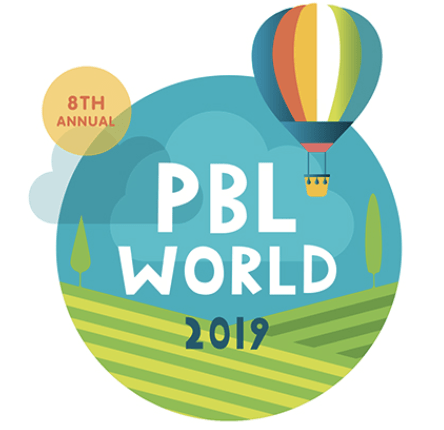 Does anyone have any suggestions or resources for non-digital PBL? Thanks for this post and the ideas you offered. As far as Joanna’s plea…I am right there with you. I teach 6th graders, too. and until just a few months ago I didn’t get how I’d ever cover my curriculum, be able to check off that I was where I needed to be in my curriculum map and pacing guide AND do PBL. I think Shelley’s advice to start small is the best way to figure this out. And you don’t have to have a ton of technology to do this. In fact, with a social studies theme I could see students being involved in watching current events or talking to people. Say for example, you’ve taught a social studies unit. I’ll take an ancient civization theme just ‘cuz it seems really hard to look into a PBL. So if I was studying ancient China, I could have just finished teaching them the geography of that region. Why not then let them do some PBL kinds of question asking and answering by finding something in that same region that makes them question or pause or wonder about. What if you asked them how the mountains and deserts isolated China so it could ascend….and how do those same mountains play a role in protecting the Taliban? Then ask them to find examples that somehow resonant in the nightly news broadcasts. Once they find something that connects for them, they can become the “expert” on that for your whole class? You would still be covering your required geography unit and putting some zip and engagement factors into it by helping kids start questioning what’s going on in the news? How is that relevant and connected to what I know about ancient China? All of sudden they’re going to see the big threads and themes that geography plays in how people interact with each other. Oh it could be such great fun if they got into the likes of Genghis Khan or Alexander the Great….those mountains have been big players in the past. And wouldn’t those lessons of ancient civilizations be imporatnt to remember for today? I don’t know. I think you can do it without computers….just a little TV watching at home!!!! I understand your concerns about learning digitally. I teach at a school that has limited resources, and many of my students do not have access to digital technologies at home. One of the keys here is that students feel creative when they use technology. Many of the tools are so easy to use, and you get great results. But if the focus is on learning through creative expressing, lots of old-fashioned tools can work too — and these even have a certain nostalgic attraction to them as well. I just worked with a couple of new teachers on what we called our “Reading Heroes Scrapbook Project.” We started out with a discussion of an excerpt from the film THE NEVER-ENDING STORY. As you may know, the plot bounces from the book world to the “real” world, with the protagonist as the link between the two. We scaffolded a series of questions throughout the semester which students used as writing prompts. The students then used the writing prompts as the basis for creating a scrapbook page about their main idea. We alternated questions about their reading habits and experiences with questions about their concepts of heroes. Our culminating question was “How will you become the hero of your own life?” I can tell you that we weren’t really sure until the end if this whole scrapbook thing would work, but once the students put them all together and could see how their ideas developed over time, they positively glowed. While this project could be done digitally, for sure, there was something about working with our hands to design something that could visually express an idea that worked its magic too. Hope this helps get you thinking in ways that you can create “real” projects that are still authentic and powerful for your students.